CAMBRIDGE, MA – April 28, 2017 – The Davis Companies (TDC) today announced they have completed construction at 75 Moulton Street, a single-story, 37,500-square-foot, laboratory and R&D building located in the Fresh Pond Technology Park in the Alewife section of West Cambridge, MA. The property offers growing life science, pharmaceutical and R&D companies state-of-the-art space with a sophisticated and powerful infrastructure that can support a wide range of research and scientific operations. 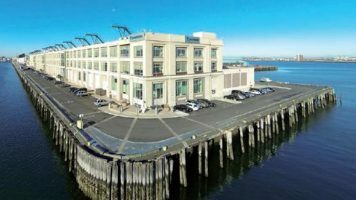 The modern, highly flexible building brings much-needed high bay space to a market with limited vacancy and access to Cambridge’s educated labor pool. 75 Moulton Street offers interior and exterior signage opportunities, 58 onsite parking spaces, and a shuttle to and from the Alewife MBTA Subway Station, which is minutes from both Kendall Square and Harvard Square via the MBTA Red Line. The property is also readily accessible from the Western suburbs via Route 2. Working with the architectural and engineering firm Jacobs, TDC transformed 75 Moulton with 21st century upgrades. The façade is comprised of insulated metal panels, and a sleek new glass entryway will welcome tenants and visitors into an inviting glass vestibule. Lab spaces will boast 13′ 6” clear heights and large insulated windows will allow substantial natural light to enter throughout. Tenants will benefit from 4,000 amps of power, which is significantly more power compared to other buildings in the area that typically offer 1,000 or 1,500 amps. Other state-of-the-art systems will include: all new HVAC and sprinklers, customizable pH neutralization, a two-bay loading dock, and storm water collection. Tenants will also enjoy indoor bike storage, showers, as well as outdoor eating and green spaces. “Practical companies seeking a more cost-effective space in an ideally situated, up-and-coming startup and life science market will be proud to establish a presence at 75 Moulton,” said Chris Leary, Principal and Managing Director, Jacobs. 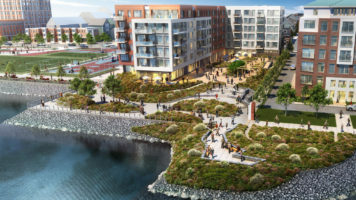 provides tenants with an affordable alternative to East Cambridge where rents are significantly higher and opportunities are scarce,” said Peter Bekarian, Managing Director, JLL, who is overseeing the leasing of 75 Moulton. TDC is also developing a The ARC, a Class-A, 223,000-square-foot lab building with ground-floor retail at nearby 35 Cambridgepark Drive, scheduled to be completed in summer 2018. The ARC is directly adjacent to the Alewife Subway Station, and readily accessible from the Western suburbs via Route 2. Once completed, this premier facility will be suitable for life science and pharmaceutical companies that require flexible, Class-A lab space in a sustainable environment.